A slideshow of local beaches and Mount Pleasant's large garden. Click on image and then Play. Holiday from £30 per person per night. 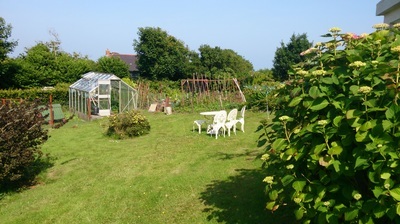 Mount Pleasant apartment is set in a large garden and benefits from lovely rural views and a glimpse of the sea. 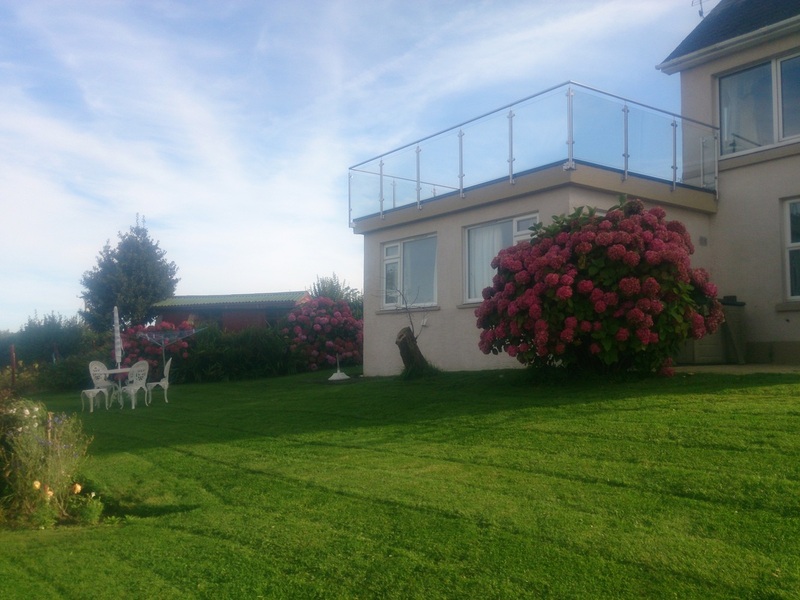 It is ideally placed as a base for anywhere in Pembrokeshire with the main beach, harbour and other beaches all within a short walk. There is a secluded beach one mile away and if you don't mind a bit of an uphill walk back you can be on a beach where there is hardly ever more than a handful of people. Its a pleasant walk down a quiet road but if you prefer you can drive most of the way and park free. The perfect base for Tenby, the coast path and all of Pembrokeshire. No Booking fees, no hidden extras AND some free eggs!! Self catering holiday homes are increasingly popular with guests because of the freedom which they give to holidaymakers looking for holiday lettings and wanting a budget priced holiday especially for those looking for a family holiday. If you are looking for a wonderful self catering holiday home or cottage near sandy beaches and other amenities, this lovely well equipped apartment should be high on your list. Pembrokeshire is a beautiful county and Saundersfoot and Tenby are two of its jewels. There are miles of golden sands, castles, walking, cycling, pubs and restaurants and two major attractions with Folly Farm and Oakwood. The beauty of self catering accommodation is you can take your holiday at your own pace. Late nights, early mornings, whatever suits you and Mount Pleasant, ﻿Saunderfoot﻿ is a great base for seeing the whole of Pembrokeshire including Tenby. If you’d rather stay indoors, snuggled up with a good book or your laptop or tablet in a beautifully quiet and picturesque garden then you will find the WIFI in this accommodation ideal. Its your holiday choice. Self catering is great for pets too. They can enjoy being with you and going for walks along the coast path or sandy beaches or just in the large garden. Mount Pleasant has been successfully hosting delighted guests for several years now book early to avoid disappointment. 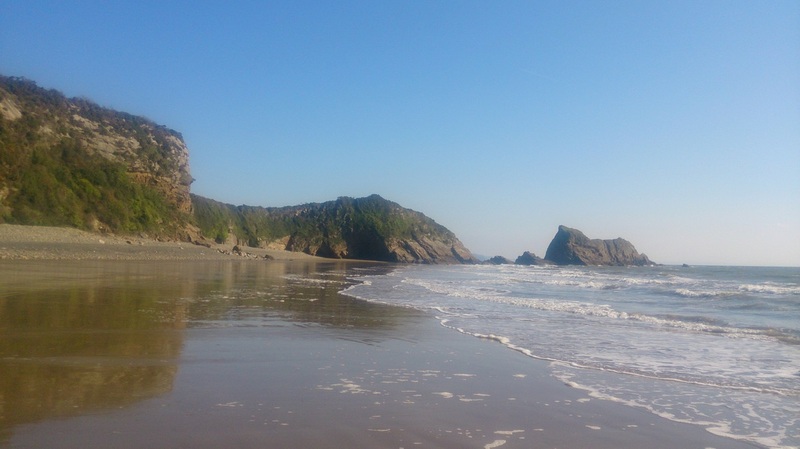 If you are looking for the perfect venue for yourselves or your family and you want to see Saundersfoot, Tenby, Narberth or anywhere in South or North Pembrokeshire, this beautiful part of Wales, a Mount Pleasant holiday is just what you want. 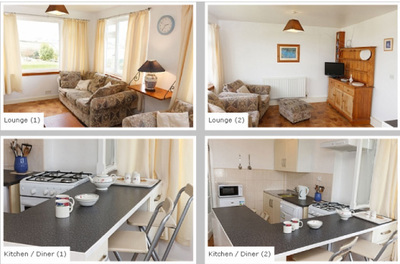 This self catering apartment has everything you need to relax and enjoy a holiday with distant sea views. Golden sands, woodlands, countryside, castles and theme parks are all in easy reach and some just a short walk away as Saundersfoot village is on the Pembrokeshire National Park coast path with Wisemans Bridge to the left and Tenby to the right and then continue walking on the coast path for as long as you like. There is 186 miles in all!! So you may be looking for a holiday cottage, a holiday caravan, holiday flat or other self catering accommodation but Mount Pleasant may well fit your bill. See my reviews page for holidaymaker views of a holiday at Mount Pleasant here.